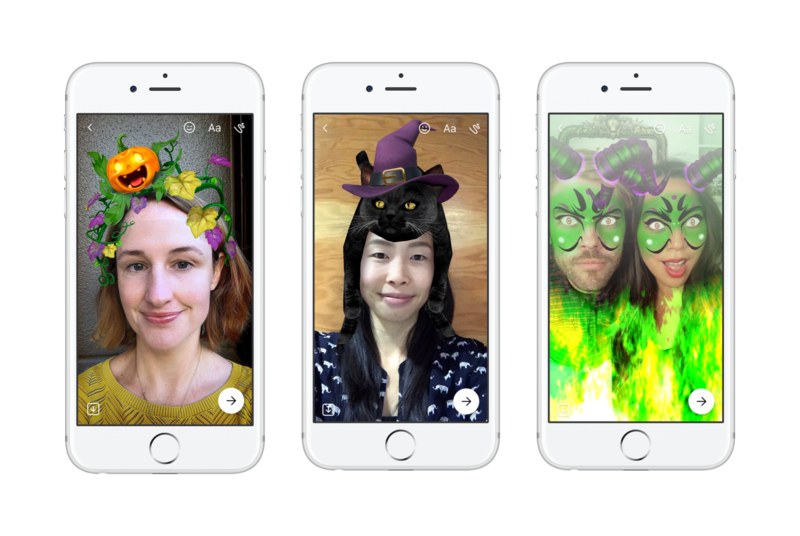 New Effects in Camera, Live and Messenger: People can try out dozens of Halloween-themed masks, frames and stickers. Try Out a New Interactive Game: In Camera, people can turn themselves into a trick-or-treater who jumps their way out of a spooky haunted house. Get Creative with Halloween-Themed Posts: When posting in News Feed, people can try out different backgrounds for their text posts. 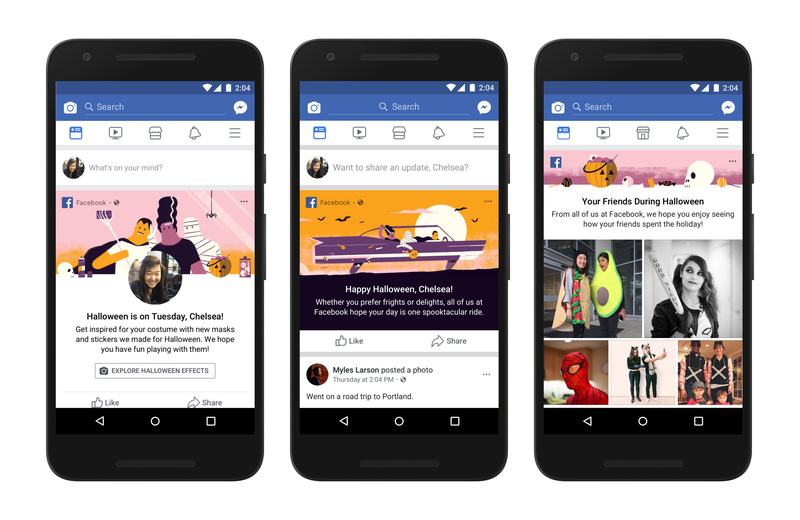 Celebrate in Costume: On Halloween, you might see a message from Facebook in your News Feed wishing you a Happy Halloween and inviting you to get into the holiday spirit. 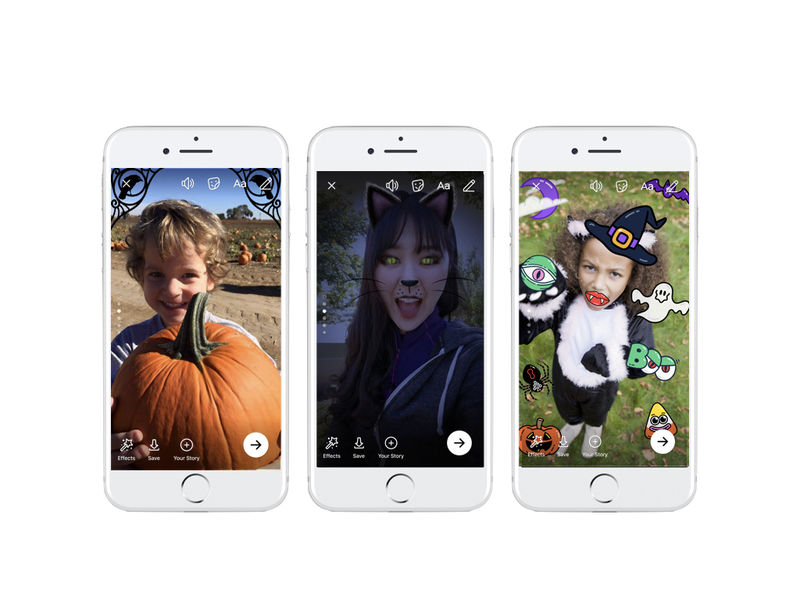 By swiping right into Camera, you will find more than twelve different spooky masks and frames, as well as a handy way to snap a photo of your Halloween look. 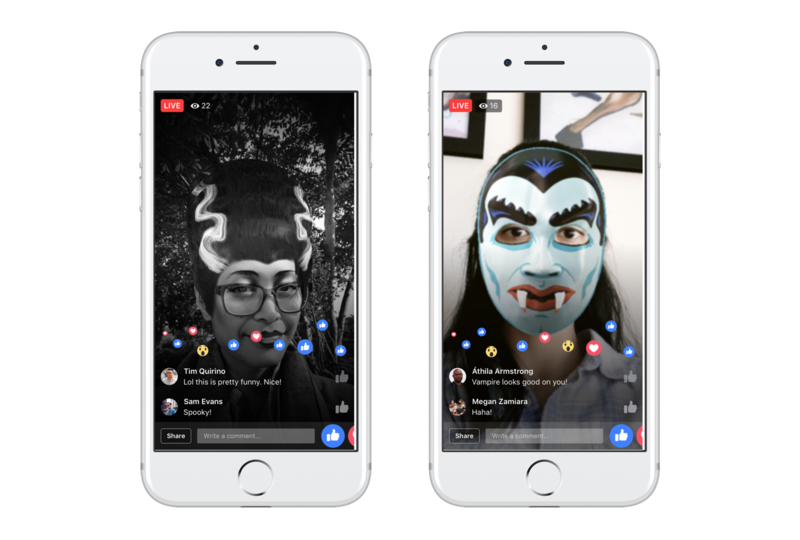 Broadcast Your Halloween Live: Facebook Live is also introducing Halloween effects that can be used in your Live videos. Try a scary mask, or tell a story using an effect. Go live with a friend and have fun bringing people into your Halloween moments. Escape From a Virtual Haunted House: For even more fun, try our interactive Halloween-themed game located within Camera. You’ll turn into a trick-or-treater who jumps their way out of a spooky haunted house by hopping up the walls to escape. Turning your head from side to side changes the direction in which you jump to climb higher and avoid traps. Share your highest score with a photo and challenge your friends to beat your record. 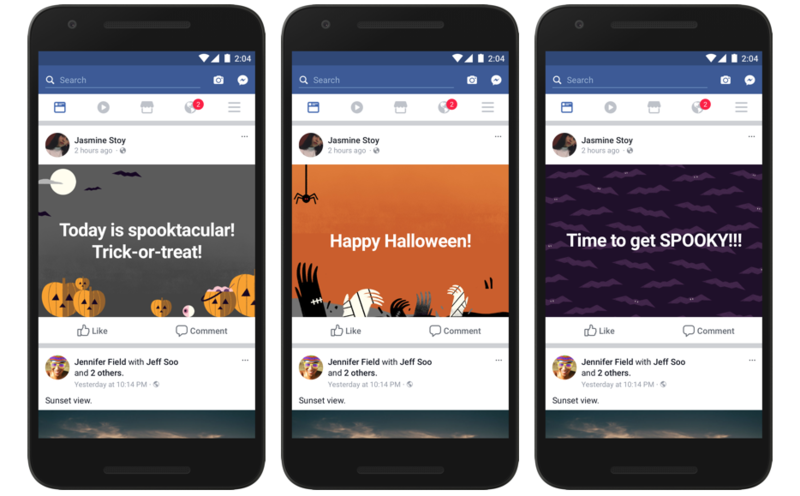 Dress Up Your Posts: To give you even more ways to express yourself on this holiday, we’re adding Halloween-themed backgrounds to the colored background options on text posts, which you can find when posting on Facebook. Trick or Treat at a Neighborhood Event: With more than 500,000 Halloween events around the world planned this year, we’re making it even easier for people to find events near them by sending prompts that feature Halloween events that may interest them. We hope everyone enjoys the tricks and the treats this Halloween!